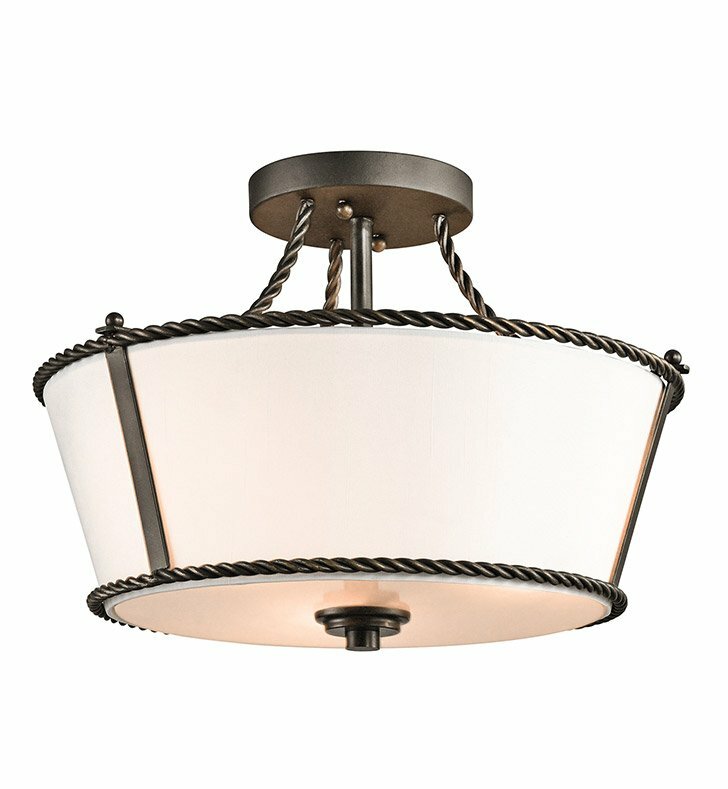 Questions about Kichler Lighting 43342OZ? Inspired by the historic estates of presidents past, this 3 light semi flush from the Donington collection is a unique interpretation of traditional Williamsburg style. Simple iron rope detailing and a rich, Olde Bronze finish accentuates the off-white fabric shades, creating a classic look that works with a variety of decorating schemes. Dimensions: H 10 3/4" x W 14 3/4"